A graceful hardy perennial native to the British Isles. 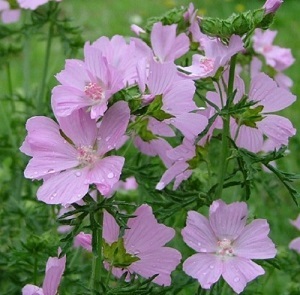 Musk Mallow flowers all summer from July to September, with a profusion of rose-pink flowers and fern like leaves, growing to a good height of 60-90cm. In a sunny and fertile spot it will grow well with blue delphiniums, matching the growth nd providing a nice colour contrast. Musk Mallow is a very adaptable plant, looking good in wildflower gardens and in the border, and needs very little maintenance. Plants prefer an open or sunny to part-shady site and well drained soil. 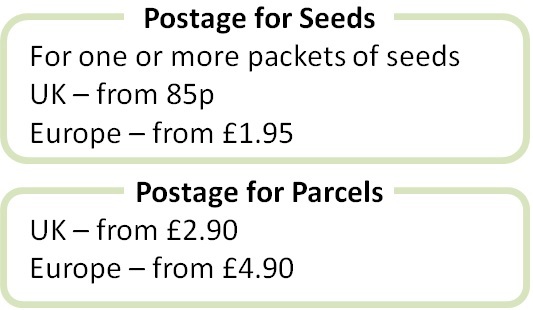 Pack of approx 200 seeds. Sow in autumn in a seed tray or spring directly in the ground. Easy to grow and fast to mature, flowering in the first year. Sowing instructions and a colour photo are printed on the packet. Sow in summer/autumn about 4mm deep in trays of seed compost. Germination takes 1-2 weeks at 20°C. Pot on seedlings when they are big enough to handle and plant out in the garden in the spring. Or sow in late spring directly in the ground, when germination takes about 4-6 weeks. Grow Plants need little maintenance once established. They do not generally need pruning. Plants can be short-lived lived but they will self seed. Basal cuttings can be taken in spring and summer.